You can check out my Tutorial for Stenciled Watercolors if you want to make your own. 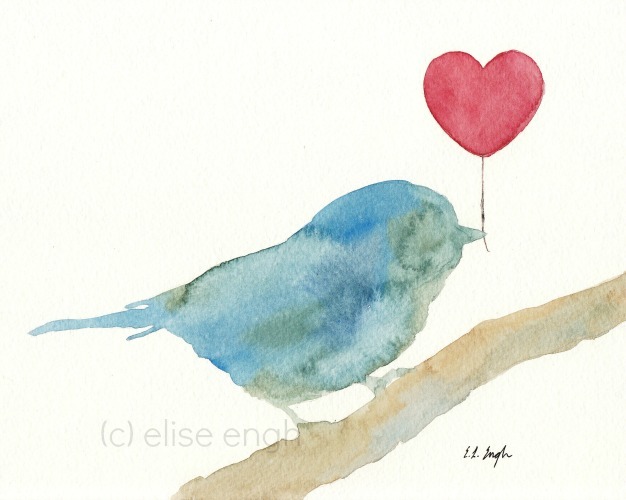 And here's a new design.... a little blue bird. What do you think? Maybe do this one in different colors? Ps thanks for coming over to look at my foot washing station! I love the bird too! They are all adorable! Love the elephants! I especially like the one that has an ear where the paint "backwashed"...that was either a happy accident or genius! These are adorable, I'm going to look at your tutorial now. I'm in the process of decorating my daughter's nursery and I wanted a slight African touch to it (long story why) and that elephant would be perfect!! I love this, Elise! My girls and I are trying to discover more artistic ways to use the watercolors. I think they will love this! I'll check out your tutorial. I'm going to follow, as well. 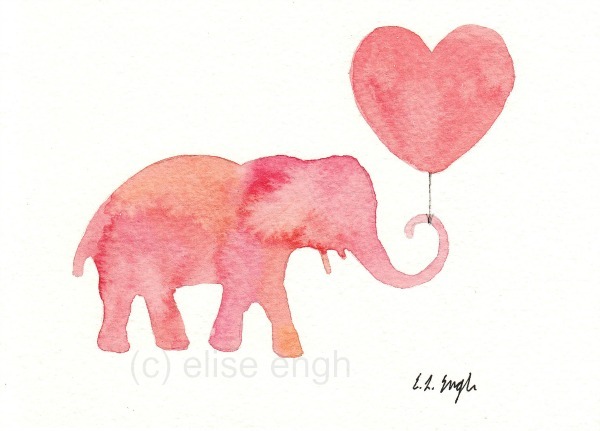 LOVE these elephants... and watercolors... goodness I'm so excited to have come across your blog!!! I love, love, love these!! I also checked out your tutorial on these, and now I might have to make them. I found you on Sugar Bee Crafts, so thanks for posting there! These are so precious! I love both the elephants and the birds! Love them all !! :) Thanks for the tutorial, it looks great! Hi! Love these! Just stopping by to let you know you've been featured on my Finding Friday Favorite Finds. Be sure to swing by and grab my featured button; you deserve it!